Lace comes in an amazing number of types and forms. No wonder some evidence dates lace kind fabrics back to ancient Egypt and China… Until in Italy of the 15th century exquisite European lace was born. From here it spread all over Europe and the golden age of hand-made lace began in 16th century. Genoa and Venice were the first lace capitals, while Belgium, France and Holland provided Italian lacemakers with finest linen so thin and delicate that it is no longer cultivated, replaced by silk, cotton and other fibres. Only later lace bloomed in different regions of France, England, Belgium, Holland and numerous new styles appeared. At these times all laces were made by hand and sometimes it took months of work to create a single piece! Lace is a textile displaying openwork, obtained through the intersection of threads that form motifs linked by a ground. This intersection is produced either with a needle or with bobbins. 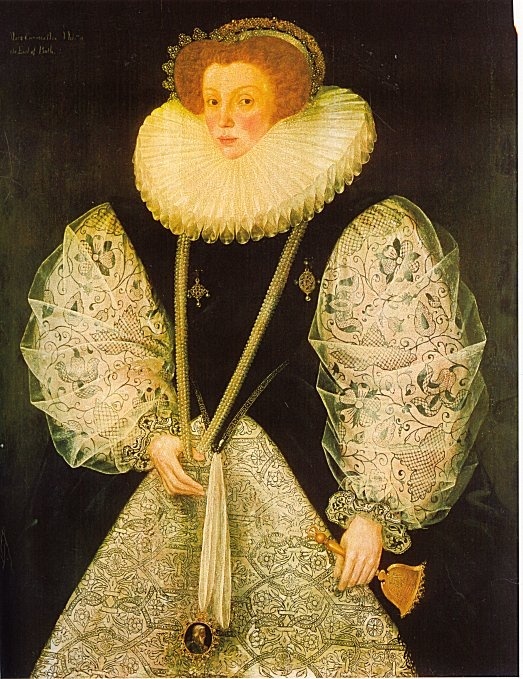 The appearance of the lace depends on the technique used, its geographic origins and also the era when it was made. Needlepont lace originated in embroidery and is used until now to create embroidery lace and re-embroider other types of lace. Bobbin lace was woven on a pillow using bobbins, hence the name. It is one of the most versatile techniques that helped to create numerous styles of laces and finest tulles. From the Lace museum of Calais. 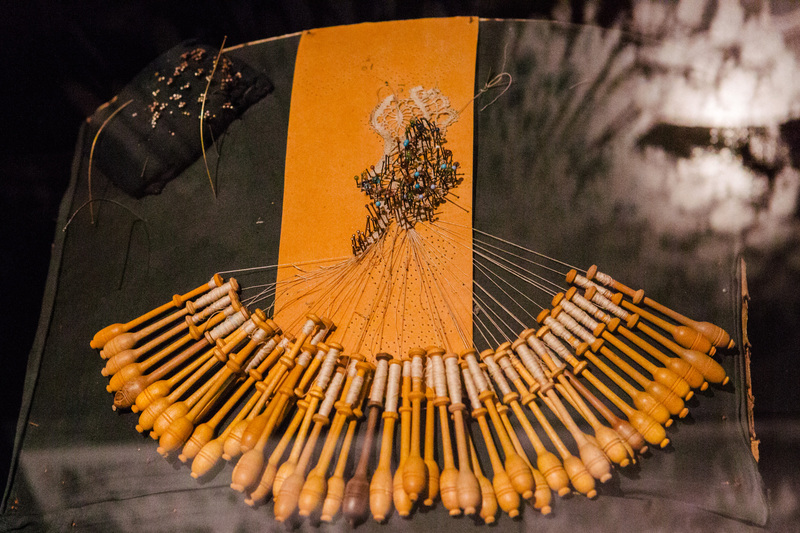 This is how Bobbin lace is made by hand. Let’s skip forward. Everything changed in the 18th century with the industrial revolution in England! First in 1768 and 1791 in England mechanical warp knitting machine was created by Josiah Crane and Dawson. 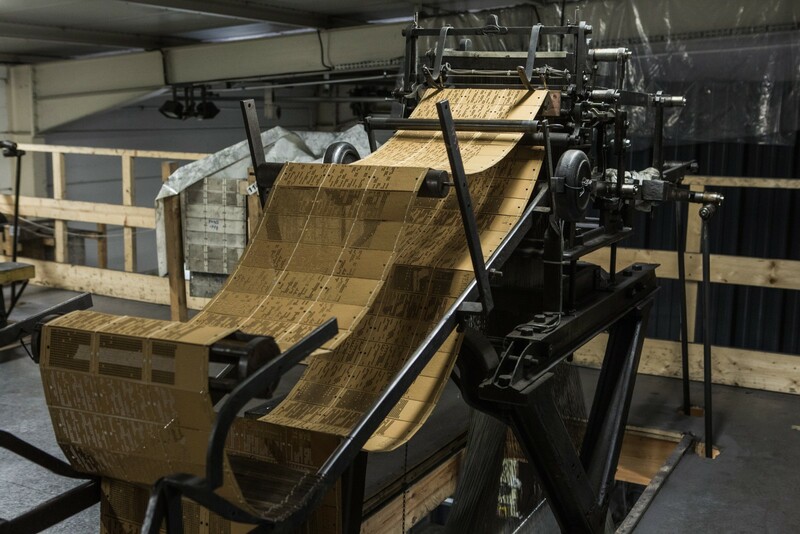 While on the other side of the channel Joseph Marie Jacquard invents the Jacquard punched card loom in 1801. Another turning point was in 1808 in Nottingham John Heathcoat patented the bobbin net machine, the granddad of all lace looms. And after that John Levers modified Heathcoat’s machine in 1813. The name of the machine was the Leavers loom (the ‘a’ was added to aid pronunciation in France). 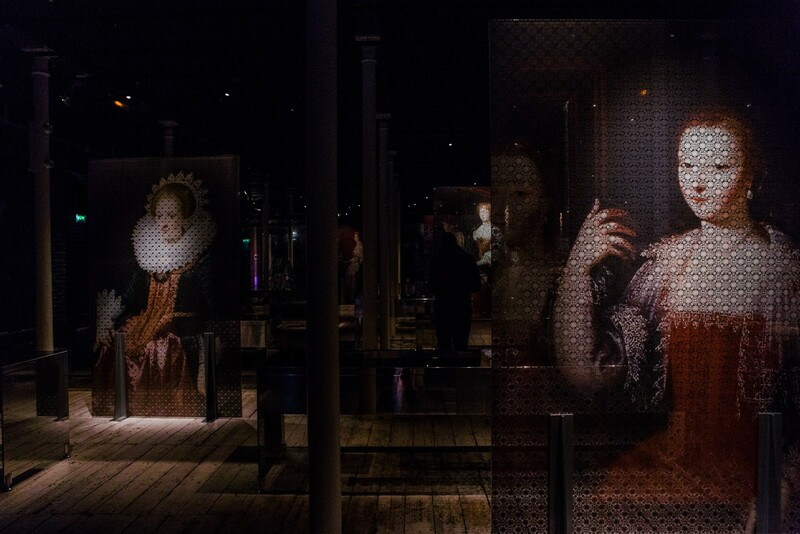 The original machines made only tulle net but it was discovered that the Jacquard apparatus could be adapted to them. From 1841 lace complete with pattern, net and outline could be made on the Leavers loom. Until now the Leavers loom is probably the most versatile of all machines for making patterned lace! The Leavers loom is a marvelous creation, weighing several tons and making lots of noise to weave the most delicate and complex of all fabrics. 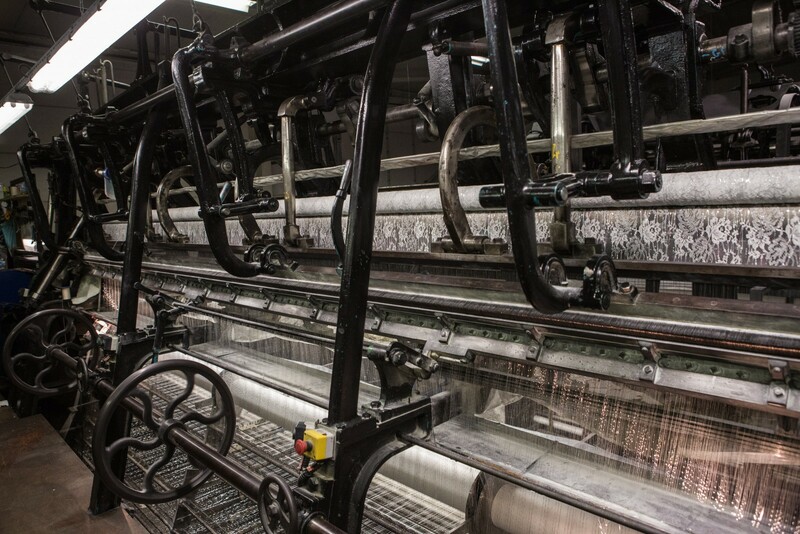 It takes insane precision to load thousands of threads into the machine and physical strength to operate it. Some of these looms still use old Jacquard punch cards with classic century old lace patterns. Jacquard punch cards with a lace pattern. So in the early 19th century only England could produce perfect bobbinet tulle with a hexagonal mesh. The fabric that was so desirable in France, but could only be obtained as contraband! These were troubled times: the war between France and England resulted in an economic blockade. While inside the country overproduction caused Luddite Revolt, workers formed gangs and were breaking the looms they deemed responsible for their unemployment. But nothing can stop the progress. Looms were smuggled in secret to France so the first production of bobbinet tulle and lace started in the Nord-Pas-de-Calais region. Saint-Pierre-lès-Calais was the first city (1809) to have a power loom, followed by Caudry in 1820. Leavers lace loom in Caudry. Lace production bloomed on the French soil, the laces were in such demand that small suburban town of lacemakers Saint-Pierre-lès-Calais became so prosperous that it outgrew Calais and merged with it in just 50 years. Northern France became the European center of the finest Leavers laces. So now such laces are often called Dentelle de Calais (Calais lace) and it is a protected trademark. Lacemakers of Calais and Caudry treasure and bear their history through the ages, same families making unique laces for generations. Like family brands such as Jean Bracq and Sophie Hallette, whose laces you can find in our store. 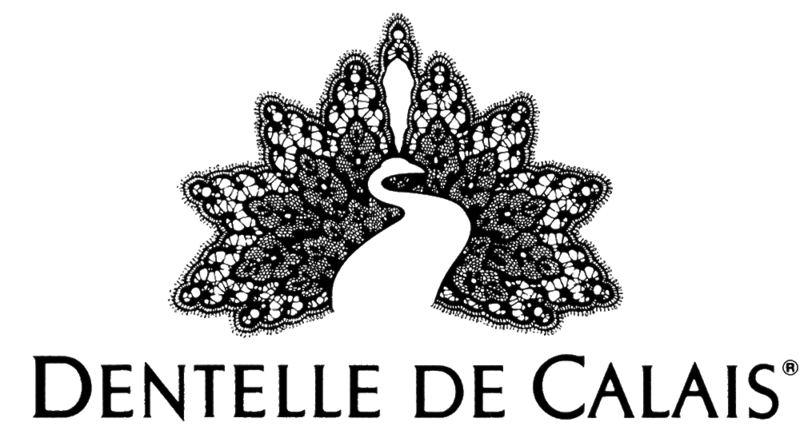 The Dentelle de Calais® appellation is a registered and protected trademark, exclusively reserved for lace made on Leavers looms by master lacemakers of Calais and Caudry using a unique method of knotting between the warp and the weft, which dates back to the beginning of the 19th century. Dentelle de Calais® was registered as a protected trademark in 1958 to distinguish authentic Leavers laces made in France in Nord-Pas-de-Calais region. 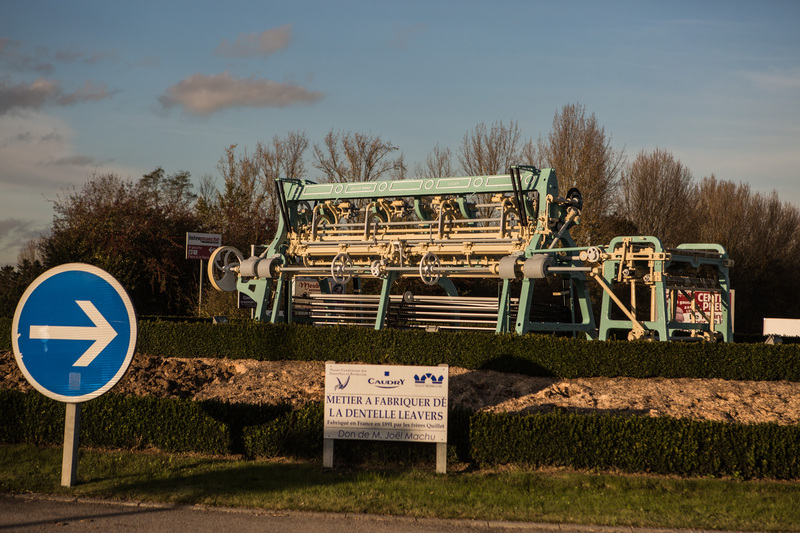 90% of the world’s Leavers machines are concentrated here mostly in Northern France, so Dentelle de Calais® became a synonym for authentic French lace. There are lots of cheaper laces knitted using a mesh method on the market so it’s important to avoid any confusion with these inferior quality fabrics.